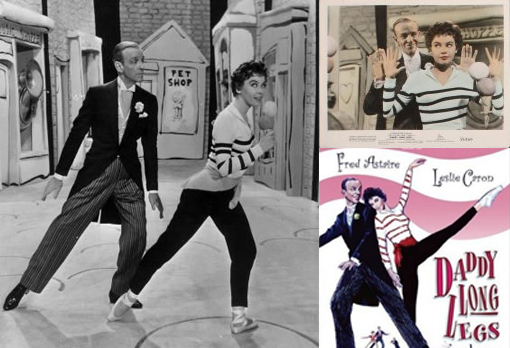 A few weeks back I got the privilege of watching Daddy Long Legs at the Stanford Theater... and while the dream sequence has never been a favorite scene of mine, I was struck by the striped shirt worn by Leslie Caron. 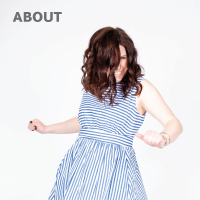 The asymmetrical stripes had an interest to me unlike most of the other striped shirts I love. 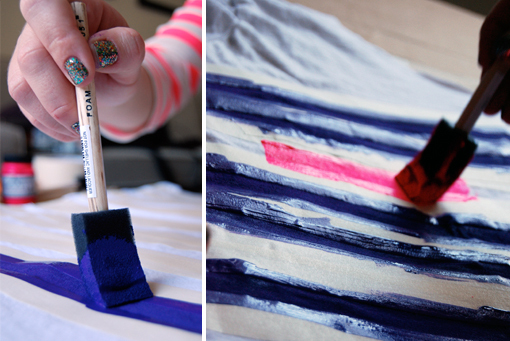 So I used it to inspire my DIY striped shirt. And here's how I made it! 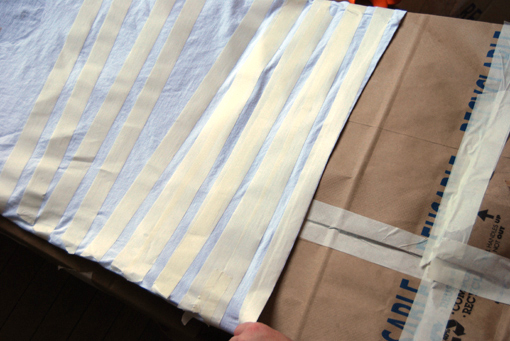 Start by masking off the top and bottom edge of each stripe, the paint will go where the shirt is exposed and not where the tape is placed. I used a ruler to evenly space the tape and make each stripe the same thickness. 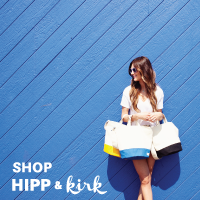 Tape together several of the grocery bags, large enough to fit into the t-shirt and pull it slightly taught. 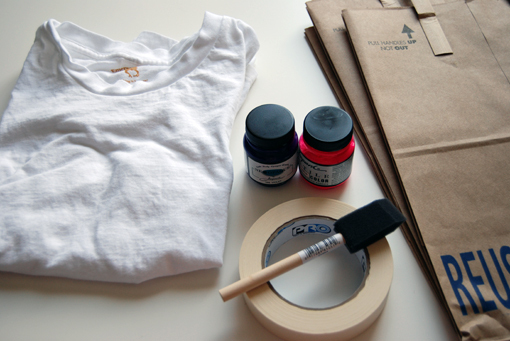 This will make it easier to paint and prevent any leaking through to the backside of the t-shirt. (Cardboard will also work if you have a piece large enough). 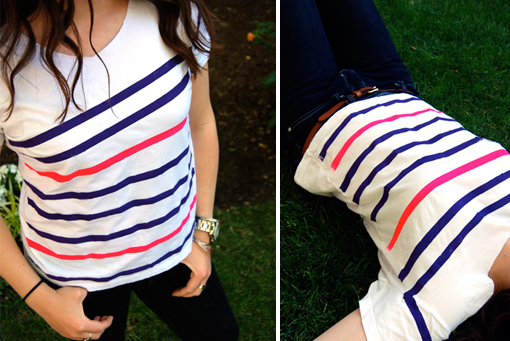 Paint each of the stripes in the color and pattern of your choice! Let the paint dry for at least an hour and then remove the tape slowly. Follow any additional instructions for drying and/or heat setting given on the paint you use. 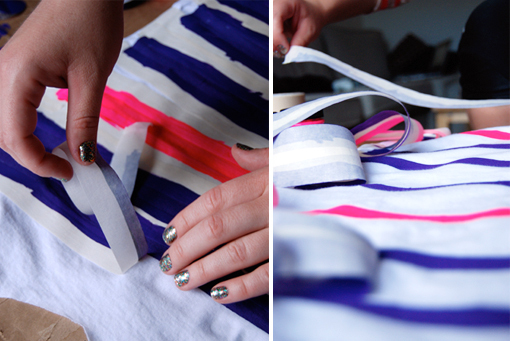 For fun variations of the theme try different thickness stripes and spacing. I used just a regular fabric paint that I found at Michael's craft store. If you follow the "heat-setting" instructions on whichever paint you use it should wash just fine. Yellow and white sounds so cute! Good luck and please send me photos - I would love to see your end result! Thank you for putting these looks together this literally adds hours back to my life not having to figure out which pattern to use. I'm gonna try this for part of my Halloween costume! Is it necessary to wash or iron the shirt beforehand? 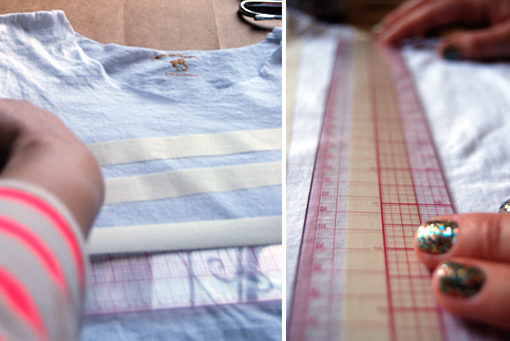 Hi Christine - I would wash the tee to avoid any shrinking that could affect the stripe pattern after you're done. And iron only if there's too many wrinkles for it to lay nice and flat for the painting process. Good luck!